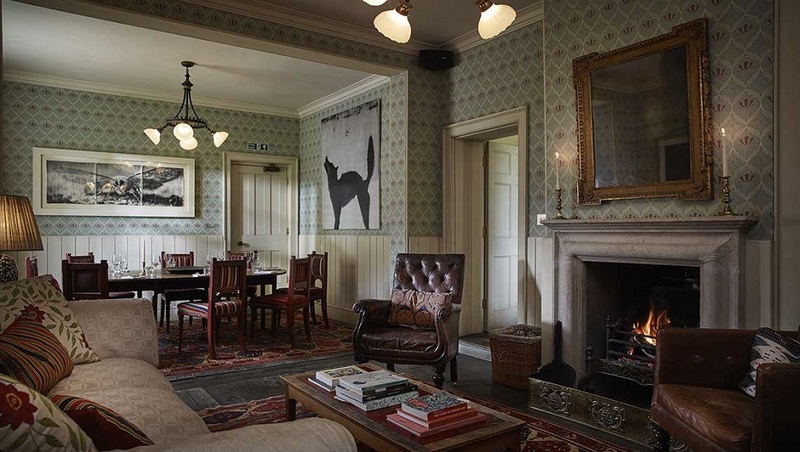 There are country pubs and there are country pubs… While most will boast open fires, cosy nooks and pub grub, few will have rare artwork hanging on the walls and deer running around outside. 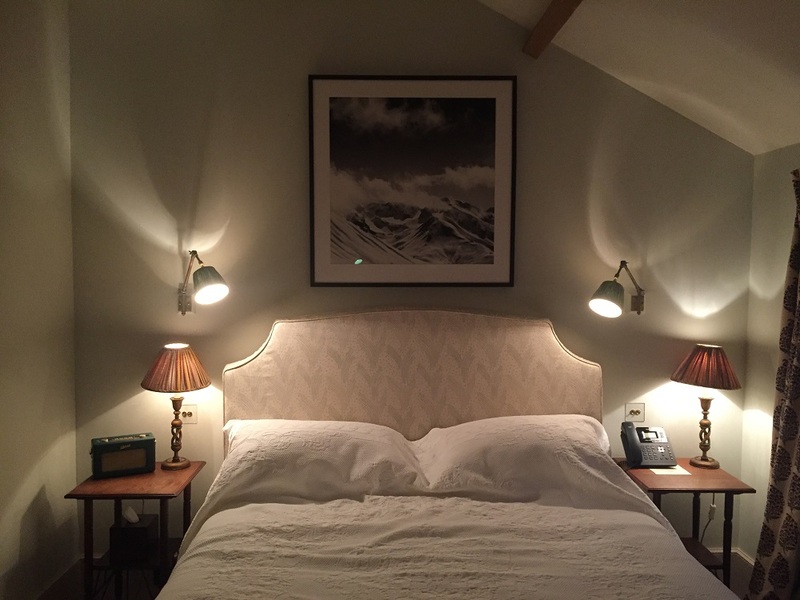 Welcome to The Gunton Arms, a handsome hotel, pub and restaurant that I’ve been hankering to review for months (book ahead guys, it’s full every weekend). 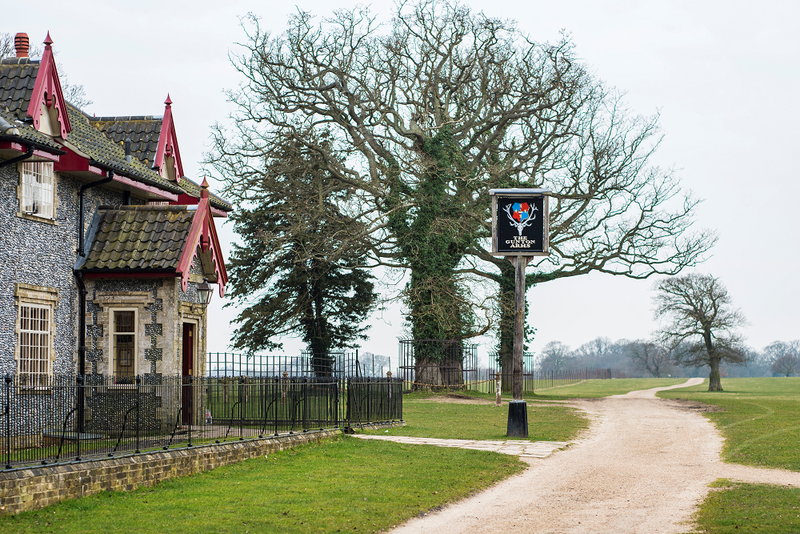 Located just off the Cromer Road in Thorpe Market, The Gunton Arms is as much about the sprawling, historic (and frankly impressive) building as it is the thousand acre deer farm it sits on. 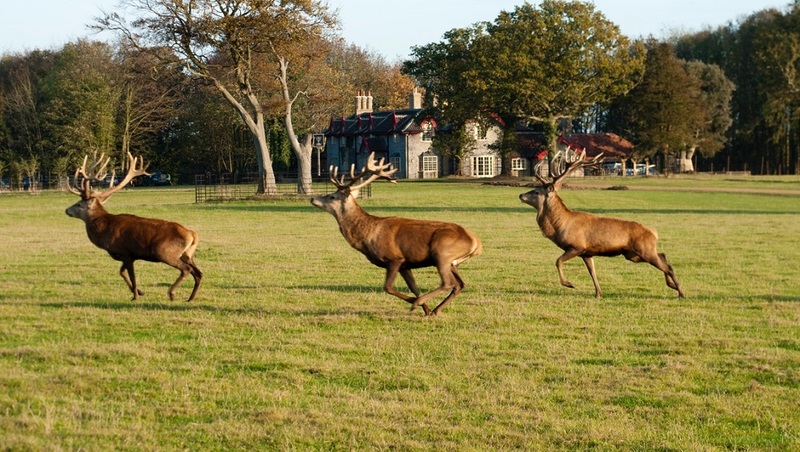 The park was created in the 18th Century by the Harbord family; in 2007 it won the ‘Genius of the Place’ Country Life/Savills award for the best restoration of a historic landscape before opening in 2011 as The Gunton Arms. The large grey stone exterior looks handsome against the red accents of the roof; head inside for room-upon-room of open fires, wood panelling, thick drapes, coved ceilings and expensive-looking rugs. So far, so traditional. 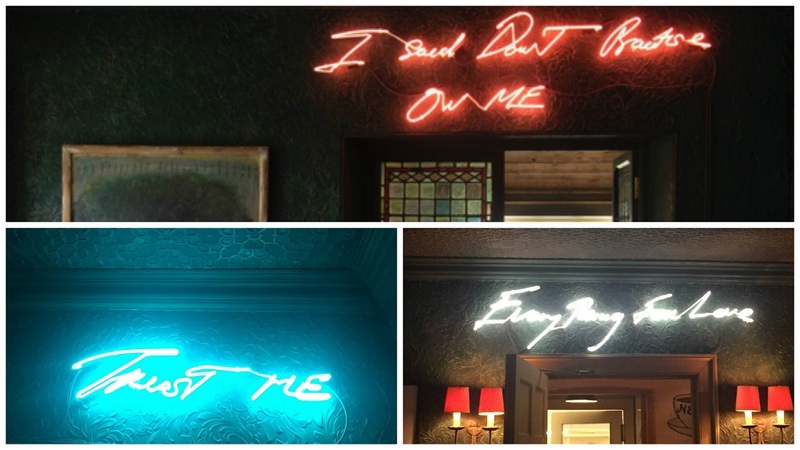 Then there’s the aspects that make it stand out: neon signs with inspiring quotes: “Everything for love,” “Trust Me” and one I can’t read – can anyone tell me what the first one says? Plus, of course, the artwork. 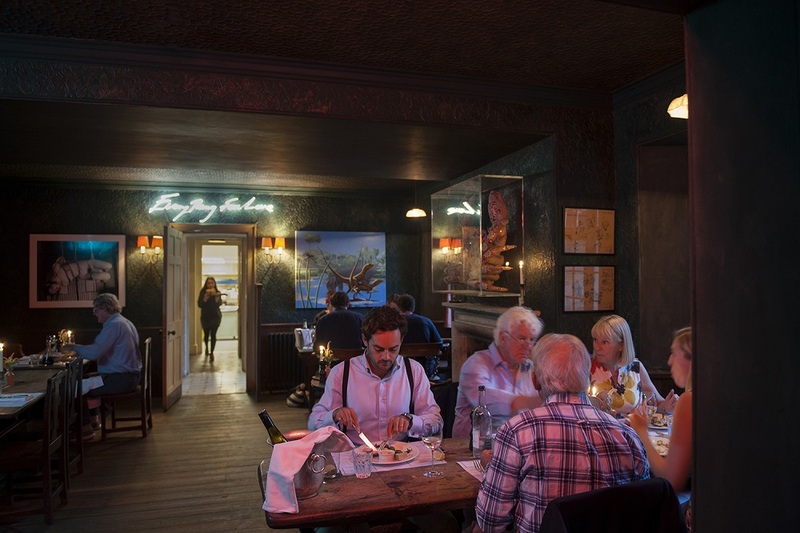 It’s very much cosy pub meets art gallery – and it works. 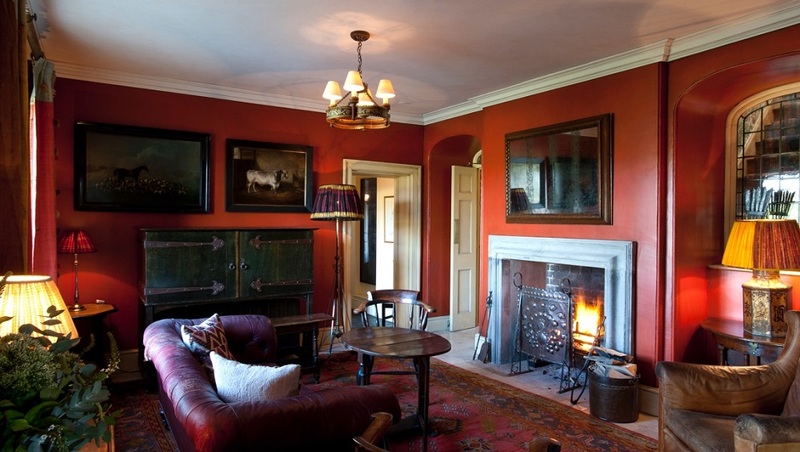 One push of the heavy door and the first room you’ll come across is the lounge, complete with red Chesterfield couch, crackling fire (of course) and plenty of punters with dogs at their muddy boot-clad feet. It’s one of those rooms that makes you wish you had more time to pore over the paper, pint in hand. Next up: the bar. Unassuming, with a pool table and window seats, it serves local ales, cocktails (Amaretto sour anyone?) and fine wines to a thirsty bunch of regulars and tourists. The atmosphere is high-jinx when we head down for a pint at 6pm on a Thursday – it reminds me of my London days where pubs were always busy no matter what day of the week it is. 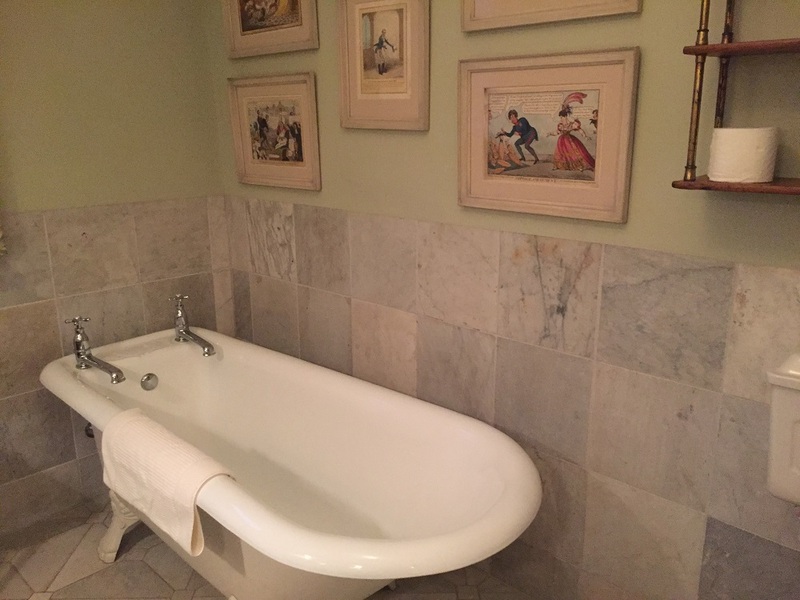 The owner is clearly as fascinated by the art world as he is the hospitality industry, but where the two really collide is the trusting placement of these rare pieces. 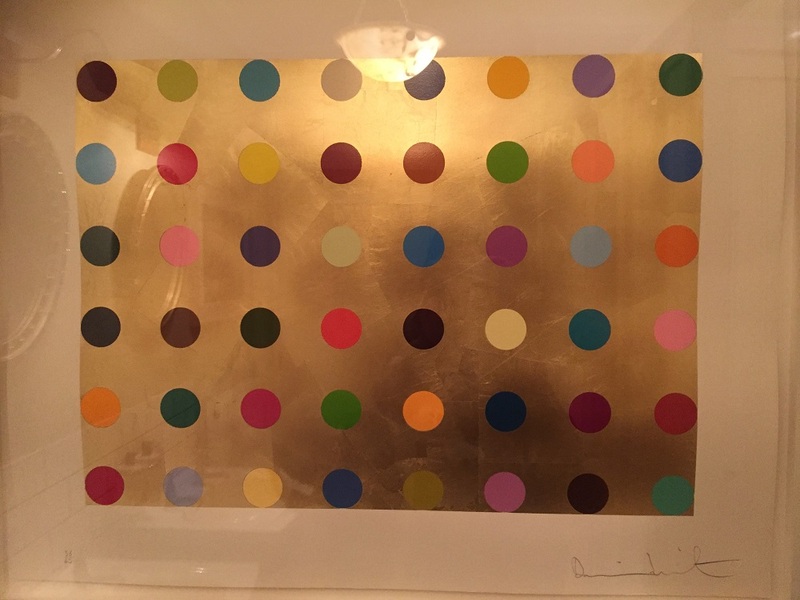 Head into the ladies’ loo to gawp at (and touch – yikes) an original Damien Hirst; duck into the Elk Room (more on which later) to get up close with an original Tracey Emin. Dotted around outside you’ll find sculptures from Sol Le Wit, Dan Graham, Anthony Caro and Phillip King, all just out in the open – no glass boxes, no ropes, nada. You won’t find that kind of magnanimity in an art gallery. Enjoy. 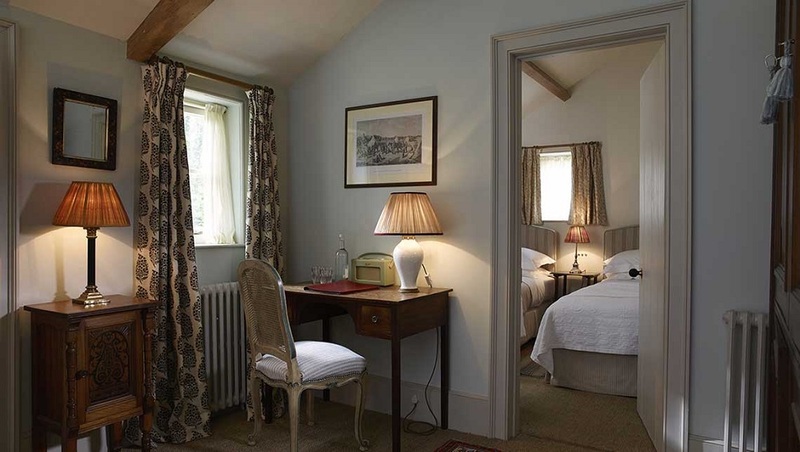 The Gunton Arms has 16 bedrooms, each designed by renowned interiors master Robert Kime, and divided between the main house (four), the barn house (four) and the coaching house (four), which is where we stayed. 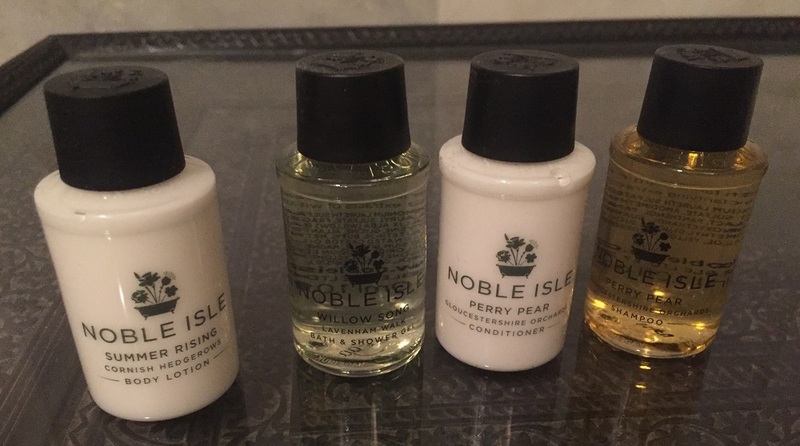 Our room, Gurney, was a wonderfully indulgent two-bedroom affair (a rare find in a pub bedroom) with a humungous bathroom complete with deep roll-top bath and Noble Isle products. 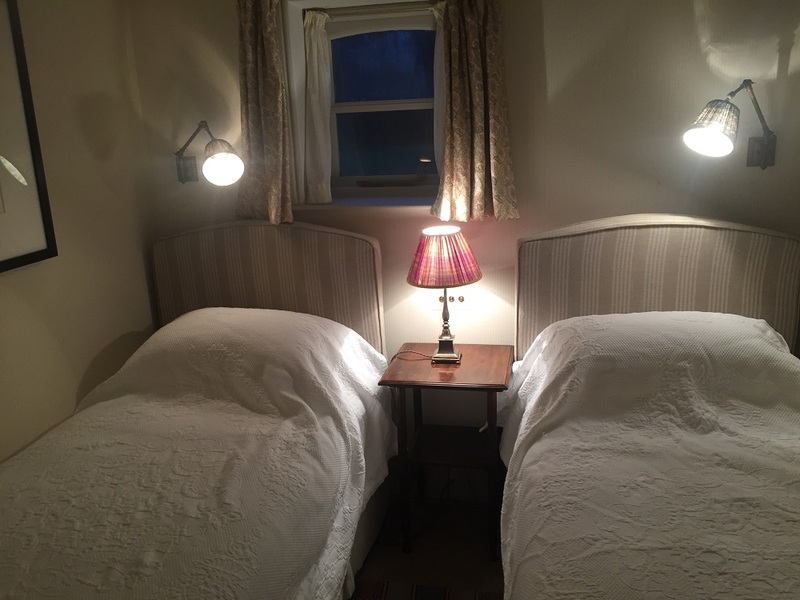 With one double and one twin bedroom, plenty of wardrobe space, bedside tables, lamps, and a desk and chair, Gurney felt more like staying in an apartment than a room. 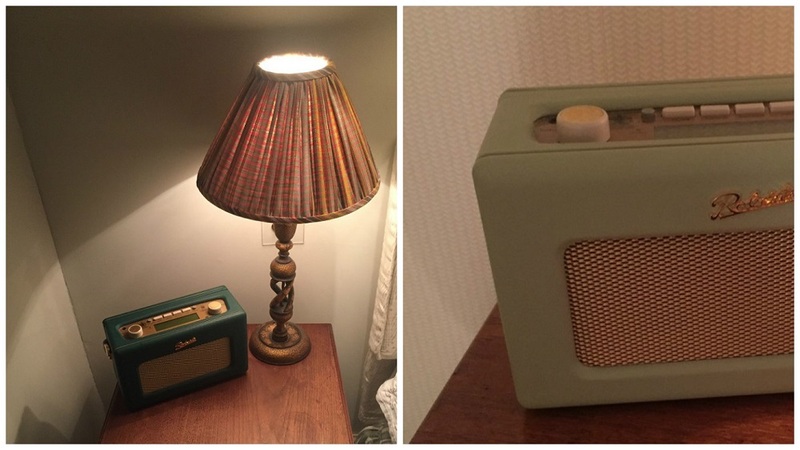 I loved the fact that, instead of a TV (much to the horror of my five-year-old), there was a DAB Roberts radio in each room (a great example of traditional meets modern) set to the BBC World Service. 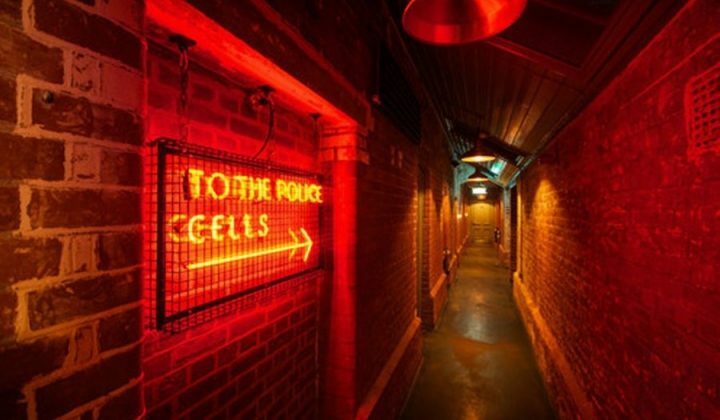 You won’t find a fridge here either – the owner wants you in the bar socialising not drinking in your room by yourself. Wise man. There is, however, a flask which you can take to the bar – ask one of the bar staff to fill it with fresh milk for your morning coffee. Gone too are those silly, environmentally unfriendly coffee sachets; instead, you’ll find coffee granules and sugar in tiny Kilner jars. 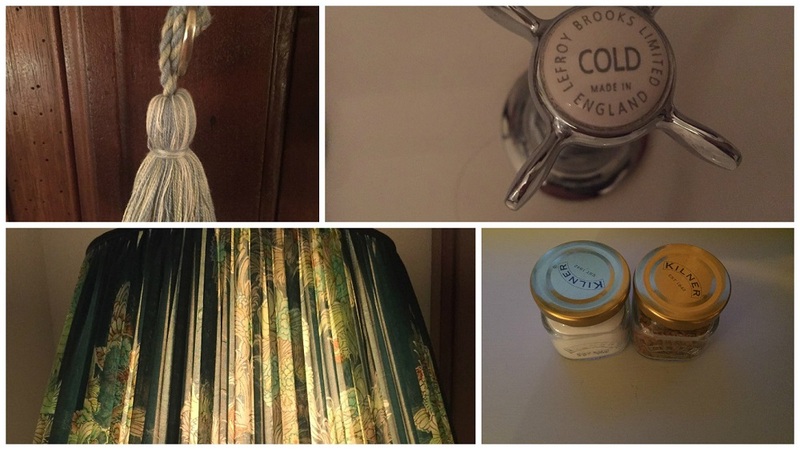 In fact, there are lots of ideas to admire, from the pleated lampshades to the tassels on the wardrobe keys. 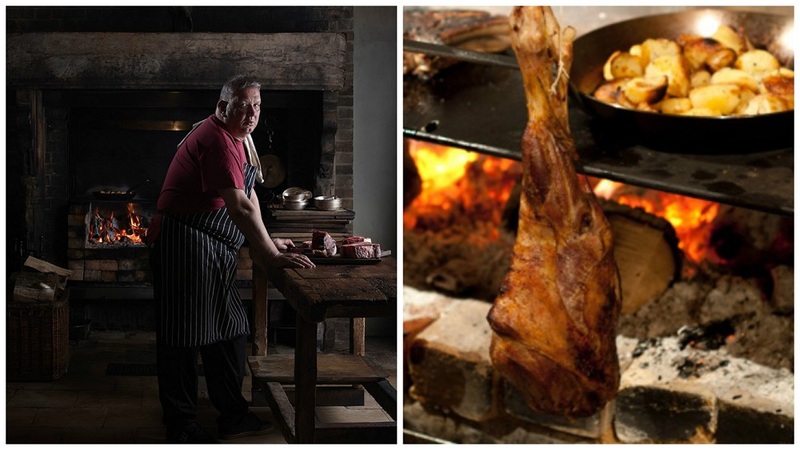 The Elk Room is where all the scoffing action takes place, with its enormous elk horns (presumably real) above a large cooking fire where slabs of meat (including venison) are turned until perfectly pink by Head Chef Stuart Tattersall, ex Head Chef at Mark Hix in London. Venison couldn’t be more local, comings straight from the deer park, while beef is reared from the local herd at Blickling; seafood, mussels and Cromer crab caught by nearby fishermen. 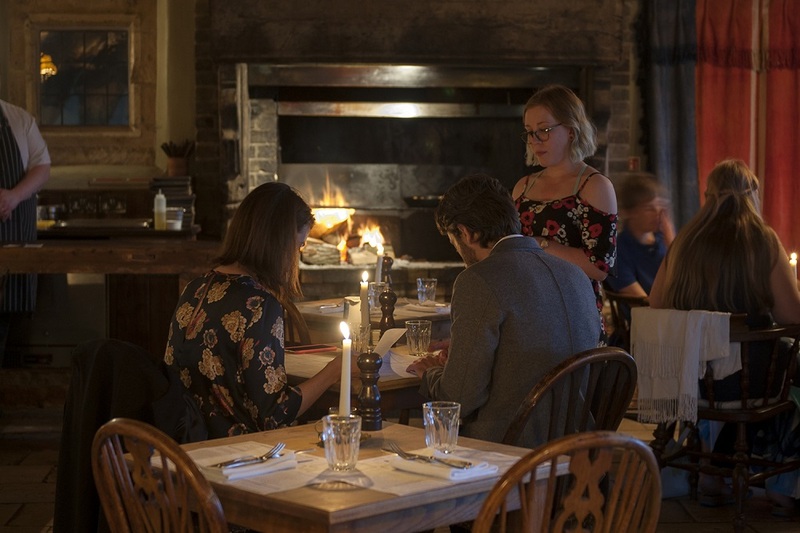 Order the rib beef to share – sliced and pink, it’s served on a board with goose fat roast potatoes (also cooked on the fire), and a choice of Bearnaise or Bramley apple sauce. There’s a rotating specials board, too, as well as a kids’ menu. My venison curry was rich and tangy, with moist pieces of meat and just the right amount of spice; my daughter’s fish and chips was far fancier than its description, with flaky fish goujons, fat chips and mushy minty peas. Our waiter selected a wine for me which, whilst not my first choice, was the perfect light accompaniment to my hearty dish. 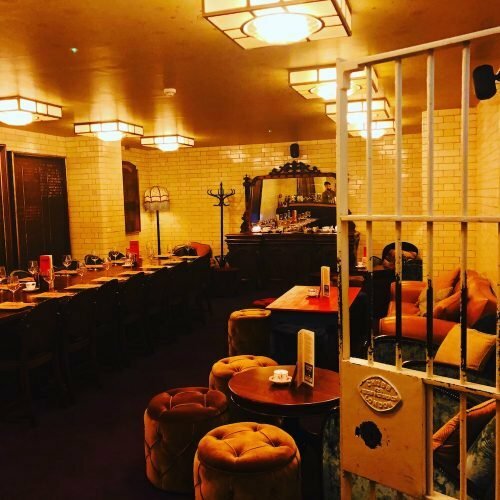 There’s also a private dining room for groups, which is half cosy lounge, half dining area. 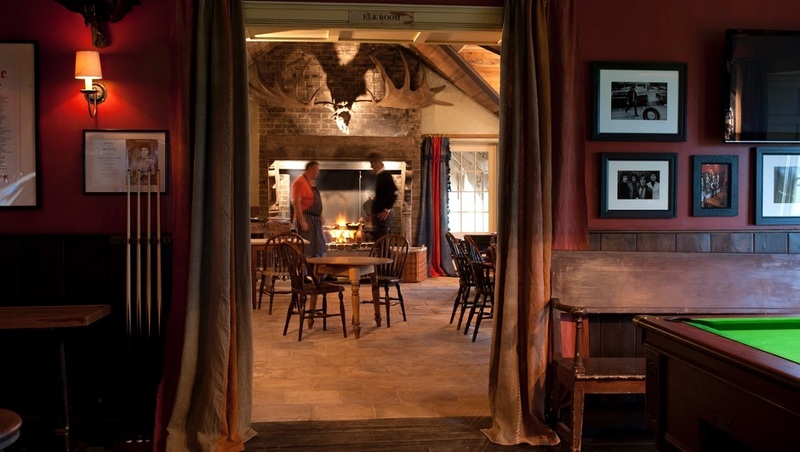 Kudos must go to all the staff at The Gunton Arms, who are knowledge and friendly in equal measure. On getting up to take a photo of an old sign, Stuart abandoned his open fire laden with meat to show me some of his favourite signs around the pub – a true gentleman. 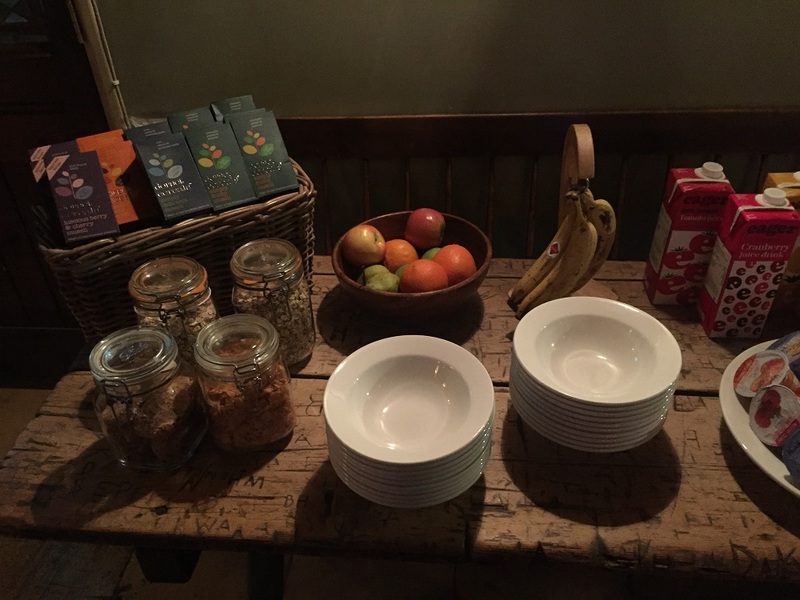 Overnight guests get a free breakfast – help yourself to a table of Dorset cereals, juices, fruit, yoghurts, breads and spreads before ordering from the menu. 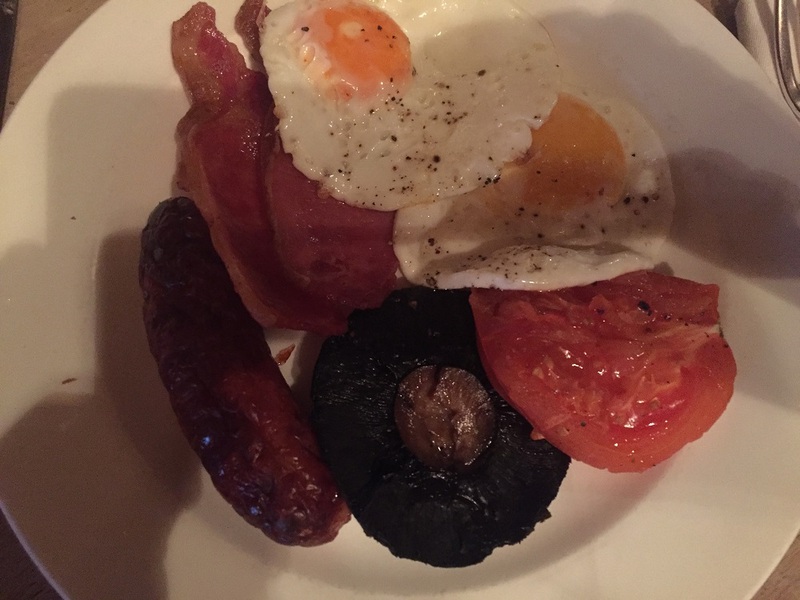 It’s a frosty January morning as I tuck into my Gunton Breakfast, perfect fuel for a busy day ahead. A warming fire flickers away behind me; deer run around outside. It really doesn’t get much better than this. 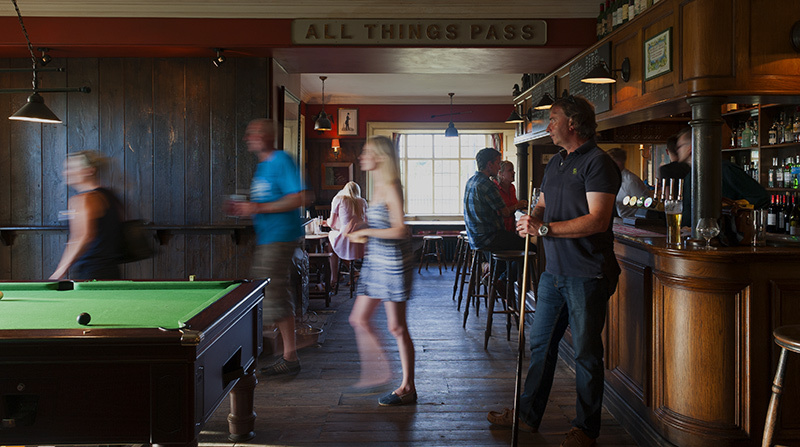 Good for: Pub lovers, dog lovers, meat lovers, lovers… Families, large groups celebrating an occasion. Perfect description, I just enjoyed my first of hopefully many stays there.